SOTOKOTO, published since May 1999, is a very popular Japanese lifestyle magazine that offers tips on leading a comfortable and fashionable life to people interested in LOHAS (Lifestyle Of Health And Sustainability). It features articles on slow food, slow life, NPO activities, eco-tourism, and so on. 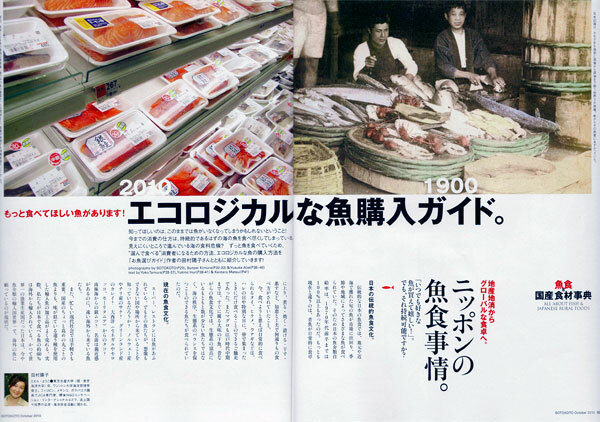 For an article about how fish consumption in Japan has changed over the past 100 years, the editors were looking for a photograph of a fish shop of at least a century ago, to contrast it with a modern supermarket. They found exactly the image that they were looking for in the meijishowa online archive. meijishowa makes it easy to find what you need. Tokyo Journal, published since 1981, is an English-language quarterly lifestyle magazine about Tokyo and Japan. 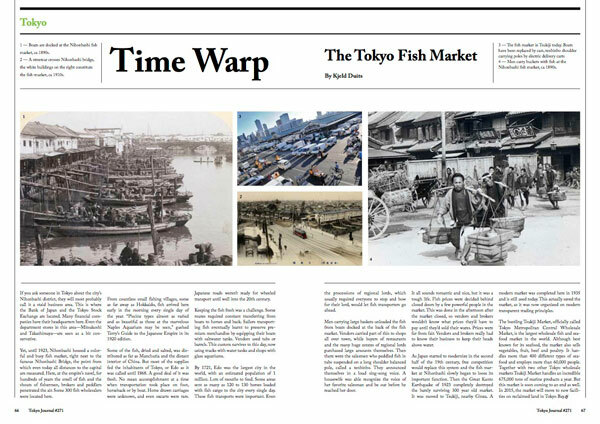 The magazine features a regular Time Warp section that introduces historical places of Tokyo. These features are fully produced by meijishowa, including the research, text and the image of the current situation. meijishowa makes it easy for you.